Last Sunday, the 58th edition of Salone Internazionale del Mobile, the internationally most expected event of design and decoration, closed its doors. 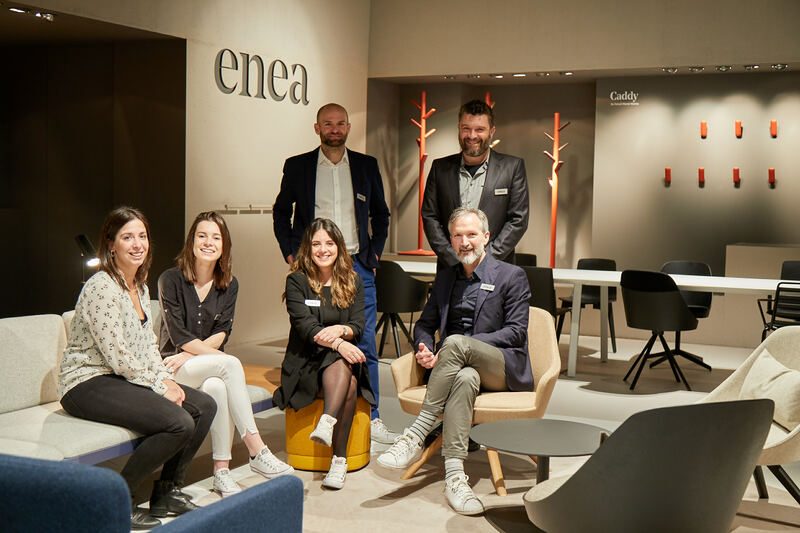 It is a scenario where Enea, as it has been doing for years, has rubbed shoulders with the world’s most recognized manufacturers of furniture equipment and decoration accessories. During the intense week, Enea presented new furniture proposals for the equipment of public and residential spaces in indoor and outdoor environments. These novelties received great praise by visitors, among those were different professionals of the sector like interior designers and architects. At the fair, where we also launched the News 2019 catalog, we presented the following novelties, designed by Estudi Manel Molina: the Kaiak Lounge, tables from the Iron and Pile collections, the Street chair with armrests and the stool, and the multiple-seat Puck. We also showed new finishes such as the steel legs lacquered in any of our twelve colors for the LTS System table, the oak wood arms for the Lottus programme, an upholstered pad for the backrest of the Lottus High family and an upholstered seat pad for the chairs of the Ema collection. Furthermore, under the umbrella of Work in Progress, we presented the products on which we are working at the moment and that will soon be on the market: the Kubika modular seating system, the Noa chair and the Timber table, all of them being perfect for contemporary contract and hospitality spaces. It has been a pleasure to show you all our releases and we invite those who had not the opportunity to visit us to be very aware of our website’s news section in order to discover each of the products launched in Milan.